GVS was founded in U.S.A. Since 1989, we have been developing and manufacturing digital acquisition, storage, and distribution units for thousands of clients worldwide in industries such as Aerospace, Broadcast, Defense, Digital Cinema, Government, Medical, Television, Motion Picture, Post Production, Scientific, Sport, Security, Universities, and Utilities Companies. These products include VTR, DDR, Video Controller, Media Server, Storage, High Speed SAN/NAS Router, High Quality Video Signal, Hardware interfaces, and Management tools. With over 100 years of combined field experience, GVS professionals have a passion for innovation and the experience necessary to bring net-centric products and support to our partners. We are a company capable of delivering rock-solid hardware and software solutions, state-of-the-art product and application development, and support that your clients require to operate more efficiently and effectively. All of our products are designed, fabricated, assambles in U.S.A for stability, reliability, speed, and cross-platform compatibility throughout the entire production. Custom interconnectivity software and hardware packages allow for local and/or remote connectivity and collaboration for improved productivity. Our knowledgeable partners can assist your company locally with planning, systems sales, installation, implementation, and maintenance. We understand that new innovations and technologies surface frequently in the digital marketplace. That's why GVS constantly re-evaluates our products, offering optional upgrades and developing new tools for the industries we serve. To provide industrial-strength innovations that solve your business challenges now and in the future. 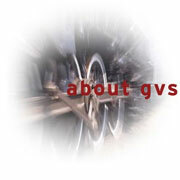 GVS thrives to ensuring your continued success and satisfaction with GVS product line.